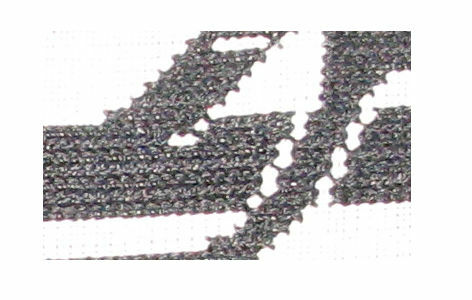 Lol I would have never thought to use long arm cross stitch to come up with the bold patterns. You also gave me another source for patterns with that book, one I hadn’t found yet. At the same time you were finishing your dragon, I had modified the smaller dragon on the same sampler to a lion and used it on a napkin for a local competition. I used the best photos I could find to chart it, if you would be interested in either pattern I could email them to you. 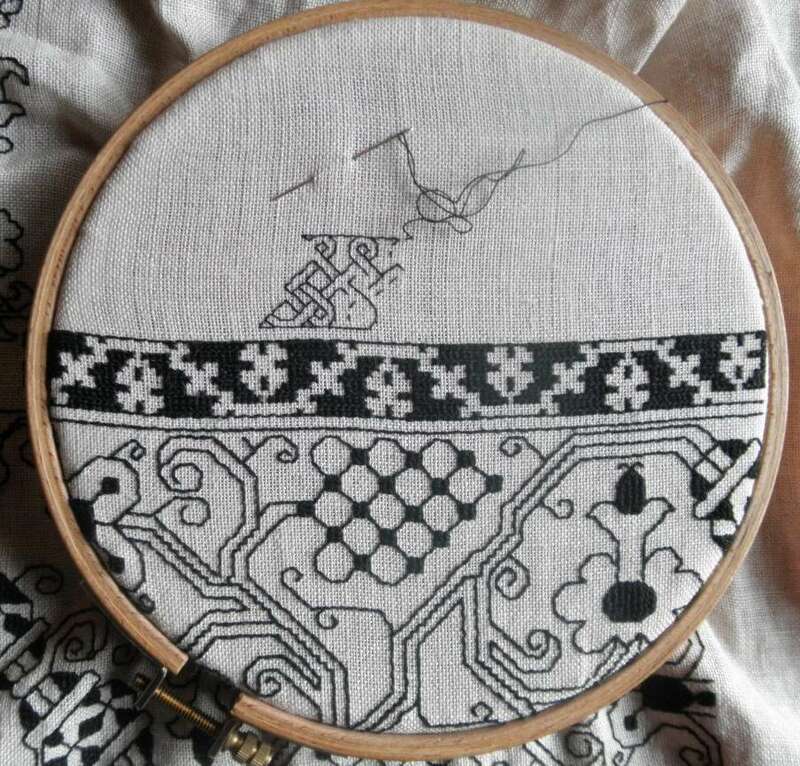 I haven’t been doing blackwork very long, so far all the patterns I have been working are double-sided, and I will admit the concept of branching out to the single sided patterns are kinda daunting. 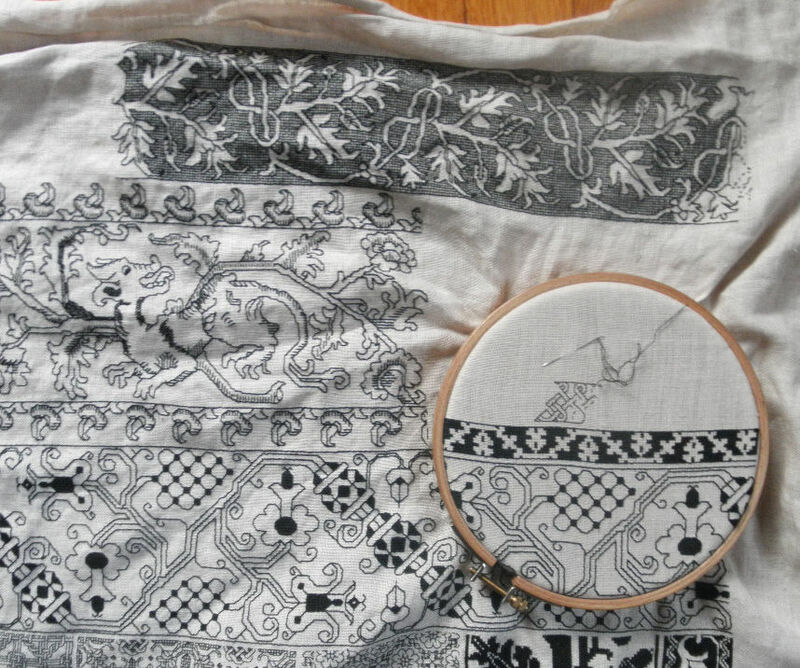 There is something I find relaxing about blackwork compared to other embroidery, I am sure it is something related to the simplicity of one color vrs mixing a large amount together. Anyways, I will say it again, the sampler is coming along beautifully and I can barely wait to see the next element.